Tarik Glenn spent ten memorable seasons with the Indianapolis Colts as a key part of its dominating offense. Four years into his career with the Colts, Tarik began to dream about how he could use his platform as a football star to raise up the next generation of leaders. Tarik Glenn officially became president of DREAM Alive in late 2011 and works tirelessly for DREAM Alive to provide hands-on leadership. Under Tarik’s direction, DREAM Alive’s innovative program is developing young men and women of integrity and character who will become the civic-minded leaders of the future. Eric Müller join DREAM Alive’s staff as the Program Director in 2010 before growing into the Executive Director role. Under Eric’s leadership, DREAM Alive’s program has grown from idea to implementation, and has grown from serving 20 students per year, to serving over 400 students per year. Eric graduated from Taylor University in 2008, and is currently obtaining an MBA from Purdue University (2020). Before he joined DREAM Alive in 2010, he served as a youth pastor in Indianapolis and a co-director for “City-Life,” a faith-based after-school program for at-risk youth. As Executive Director for DREAM Alive, he leads the development, management, and advancement of the organization. He has a passion for the city and for leading and investing in young people. Eric and his wife Amanda just had their first child, Knox, in August 2018. In addition to investing in others, Eric enjoys DJing, playing flag football, and spending time with his friends & family. Stephen graduated with a B.A. in Tourism Convention and Event Management at Indianapolis University-Purdue University Indianapolis in 2008. He went on to work with a college ministry for five years at his Alma Mater. During his college ministry experience, Stephen developed a heart to help counsel people that led him to get another B.A. in Biblical Counseling at Crossroads Bible College. In the years of completing his second degree, he volunteered his time with DREAM Alive at Harshman Magnet Middle School. Stephen grew a desire grew to reach middle school students and transitioned to working with DREAM Alive full time August of 2014. 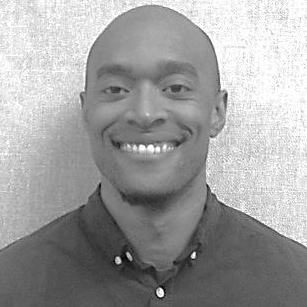 As a Site Director for DREAM Alive, he cultivates relationships with parents, students, and faculty, leads the after school sessions and oversees the high and middle school programming with a focus on the middle school program at Harshman Magnet Middle School and Arsenal Tech. Keon graduated from Indiana University Purdue University-Indianapolis with a degree in Communication Studies along with a minor in Theater and Performance Arts in 2015. Keon starting serving as a DREAM Coach for DREAM Alive the summer of 2012. He started to develop a passion to for the kids so he kept volunteering throughout his college years until the year 2014 when he went on staff as an intern starting off at Harshman Magnet Middle School. Today, he currently serves as the Site Director at John Marshall Middle School and Arlington High School. Charles Akinbola served as the Program Director for DREAM Alive for six years before making the jump to the board. Charles graduated from Purdue University in 2012 with a degree in English Education. He oversaw the program at all four sites: Harshman Magnet Middle School, Arsenal Technical High School, Arlington High School, and John Marshall Middle School. Charles also helped create and manage the Expectation program, and he continues to work closely with the program. His love for the students helped shape DREAM Alive, and he hopes to continue his impactful efforts on the board. He currently is a Branch Manager – LTC at Elements Financial. Matt Conrad is a Executive Director at Conexus Indiana. Recognized in the Indianapolis Business Journal’s 2012 “Forty Under 40” Award, Mr. Conrad is deeply involved in the Indianapolis Community, serving as the director of the Indiana Automotive Council and on numerous boards and associations, including the Indianapolis Chamber of Commerce, Indiana Economic Development Association, the Urban Land Institute, Outreach, Inc., and Center for Leadership Development.